2 months of Engineering and Pre-Job Planning; 2.5 days per well completion. A major oil company operating in the foothills region was using ball drop technology to complete horizontal gas wells. Completions required milling post frac. 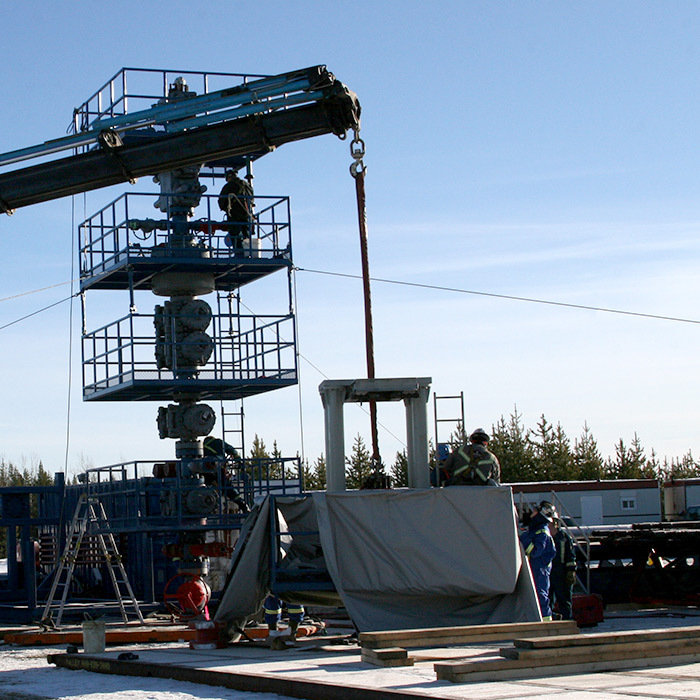 Calgary contacted Piston Well Services technical team to develop way to save money and decrease the risks involved with coiled tubing cleanouts. Piston had been using a snubbing unit for snubbing the completion string post cleanout. Piston came up with the idea of milling seats with production pipe, removing the mill at toe, pulling back to the heel and landing the string. Work began to develop above the mill: a disconnect system with metal on metal bpv; dual flapper floats that could pass the disconnect ball; a sliding sleeve with the same flow path as the tubing which would be ball-activated once wellhead was installed. Piston rigged up a Rigless Snubbing Unit, HALO equipped, snubbed it in the hole, washed the sand and milled the seats to the toe, drop disconnect ball, pull back to heel land string and rig out. Average milling time for the entire lateral was 24-28 hours over the time to simply snub in a completion. W.O.B. while milling was 2dan with 130rpm, and cost savings averaged to $300,000 per well. This process is now a standard completion design for that oil company.